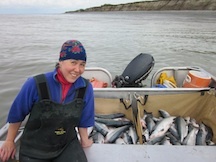 I’m an Alaskan woman who salmon fishes in Bristol Bay for a living and lives in Juneau during the off season. I also enjoy experiencing and learning about wines and will ski on anything that glides on snow. Other than my family, these are my favorite things and the three topics that will guide my posts. 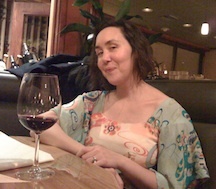 I had a wine blog for a short while a few years back and recently revisited it. It was fun to see how some things have changed and others remain the same. Namely my love for Maggie Harrison’s wines, having dealings with wine merchant Michael Alberty of Storyteller Wine Co., and furthering my wine knowledge by sharing wine and information with my sister, Elaine. If you are interested in checking out any of my old posts on Wine? Fine! simply click the associated link. Your blog is really cool. I like all the pictures! They are really pretty, espesially the ones of the mountain when you were skiing. Tell Mari i said hi! Jack, My mom, my dad and I are really excited for summer where we can see you guys again! It’s so nice to hear from you. We are looking forward to seeing all of you this summer.